“If You Sell It, Can You Make Them Come to You to Build It”? In other words, is a restrictive covenant that obligates a grantee (in the chain of title) to use a particular builder to build the grantee’s house enforceable? That was the issue recently decided by the Court of Appeals for the Sixth Appellate District in Marinelli v. Prete (6th Dist., May 21, 2010), 2010 Ohio App. LEXIS 1855. In this case, Prete was the builder of the subdivision in which Marinelli owns a lot. Marinelli bought the lot from Mr./Mrs. Pizzedazes, who bought the lot from Prete. When Prete sold the lot to the Pizzedazes, he added the following restrictive covenant: “This transfer is subject to a restriction that any home to be built hereon must be built by Prete Builders. This Restriction runs with the land”. Id at *11. Must Marinelli use Prete Builders to build their home? Perhaps some background on restrictive covenants will help provide the answer. Restrictive covenants generally restrict or govern the use of real property, or the type, character, and location of buildings or other improvements that may be built upon such property. Restrictive covenants may appear in deeds, as an encumbrance against title to real estate or included in leases. Some restrictive covenants exist for safety purposes, such as a covenant preventing the construction of tall buildings near an airport, or restricting the height of fences so as not to interfere with drivers' sight lines. Other covenants may exist for conservation purposes such as those preventing owners or tenants from removing healthy trees or from adversely impacting streams or ecosystems. Restrictive covenants may restrict everything from the height and size of buildings to the materials used in construction. In many cases before the 1960s, these covenants were used for discriminatory purposes, such as a covenant promising that only members of a certain race or religion could occupy the property. In Shelley v. Kraemer, 334 U.S. 1 (1948), the United Staes Supreme Court ruled that it would be unconstitutional for the courts to enforce racially restrictive covenants, and such covenants no longer have any validity. Ohio codified its prohibition against enforcement of discriminatory restrictions in O.R.C. Section 4112.02 (H). Certainly, the requirement of a particular builder to build, is not analogous to a requirement to sell to a non-protected class. “While it has been said that Ohio law does not generally favor restrictions on the use of property and that there is a policy favoring the free and unrestricted use of land, it is a well-established principle that the owner of real estate may place restrictions or limitations upon the future use of the property about to be conveyed, which will become a binding obligation upon purchasers, provided such restrictions are not illegal, or of a character inimical to public policy, or in restraint of trade, or the like…” 10 Ohio Jurisprudence 3d 242, Buildings Etc., Section 57 (1979). Restrictive covenants are usually enforced when they are part of a general plan or scheme for land use and control, and a purchaser of the land has notice of that plan. The types of restrictions which have been recognized as valid and enforceable include: restrictions as to the use of real property or buildings erected thereon; restrictions against the sale of liquor on the premises conveyed; a restriction requiring consent from the owners of lots adjoining the property to be sold before a grantee may sell a lot; covenants requiring consent before construction, under certain circumstances; and rules created to maintain the harmony, aesthetic quality, and uniformity of appearance of a residential area. Restrictive covenants may be real (attaching to the land and subsequent purchasers in the chain of title) or personal (just between the initial grantor and grantee). Real covenants are said to “run with the land” and bind subsequent purchasers in the chain of title. 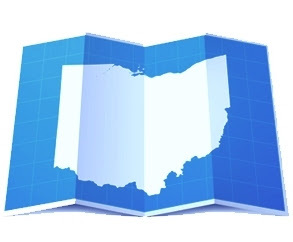 Ohio courts recognize a three part test to determine if a covenant runs with the land: 1) intent of grantor and grantee: 2) privity (connection) of estate; and 3) whether the covenant affects or concerns the land vs. the parties. The Court in Marinelli had no problem with the “Prete covenant”. While self serving, the Court held that the covenant was not against public policy. It agreed with the lower court’s conclusion that a requirement to use a particular builder was not injurious to the public or against the public good, public health, safety or welfare. Moreover, the Court stated that there was no evidence to support appellant’s claim of tortuous interference with a business contract. There was no evidence that Marinelli ever talked with a builder, other than Prete. But was the covenant binding upon Marinelli? I think the most interesting aspect of this case is the fact that the Court held that the covenant did not “run with the land” (even though the “magic words” [run with the land] were used) but was still binding upon Marinelli. The Court held that the third prong of the test failed because the property was not made more useful or valuable by the covenant. However, citing earlier case law, the Court held that a personal covenant can still be enforceable against a subsequent purchaser, if the successor takes title with notice of a valid agreement concerning it which he cannot equitably refuse to perform. The evidence showed that Marinelli had not only notice of the covenant, but had detailed discussions with Prete regarding construction of a home on their lot by Prete. In other words, Marinelli’s notice of the covenant, and actions indicating Marinelli wanted and expected to have Prete build his home, led the Court to decide it would be fair and equitable to enforce the covenant against Marinelli and require Marinelli to use Prete Builders, if and when it decided to build. Moral of this story? The “magic” words “run with the land” may not turn out to be as magical as you thought. Moreover, in today’s real estate market, where sales are hard to come by, why make it harder with restrictive covenants, unless they truly create value. While on the surface, this case appears favorable to builders of subdivisions, the decision was “fact specific” (narrow), and forecasting that all courts will be as equitable as the Sixth District was on these facts may be as easy as predicting the weather.